Mydibel is a food producer. Many of its products require deep freezing. 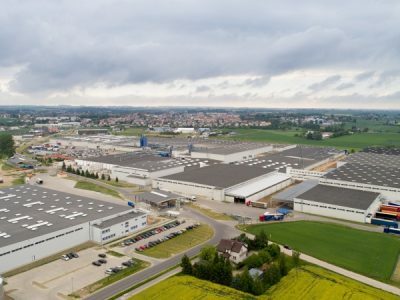 To ensure the optimum storage conditions, the company has decided to implement an automated system using Orbiter machines. The channel solution (freezing to -24̊C) applied in the Belgian Mouscron has been provided by SSI Schaefer. Mydibel, a company established thirty years ago, supplies about 2 thousand tonnes of frozen potato products to the food industry, commercial chains and catering companies in over one hundred countries. The products’ specific organoleptic and physical characteristics as well as the large diversity of the product range set down demanding requirements for the logistics function. The company has decided to buy machines for storage and search of goods with Orbiter containers and the smart concept of material flow. It will guarantee the appropriate transparency of the product range, proper efficiency and necessary convenience of operation. The whole installation is controlled by the warehouse management system WAMAS. Previously, the logistics processes in five storage facilities owned by Mydibel were conducted manually. 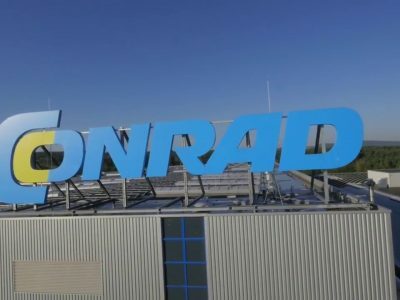 To change it, the company has decided to concentrate all storage capacities in a single modern facility in the headquarters of Mouscron. The concentration of storage at one point was one of the key tasks of the project. It has been decided that such concentration would simplify the maintenance of the deep freezing chain by eliminating the transport between the warehouses (the dispersion caused the risk of breaking the chain). The goal was also to use more effectively the work of the staff consisting of a few hundred employees. To achieve it, the company had to automate activities, optimize storage and distribution processes. The solution applied was based on the system with shuttle vehicles. Its core consists of five 93-metre high-bay aisles. The pallets are stored on eleven levels. A vast majority of channels are available on each side of the aisle and can be accessed by five storage-retrieval machines (SRM). The channels may be “operated” from both sides with different products, e.g. in accordance with the FIFO rule (First-In, First-Out). In practice, it means that the products are stored on one side and picked up on the other side of the channel. After the receipt of the pallets, the SRM moves them to the target channel. Then, the automated locating station places the system pallets under the products. The transport system leads the pallets to the high-bay warehouse (HBW) locations. The central system for moving the pallets supports two transport sections, placed one on the other. The storage takes place on the lowest level, while the picking process is conducted through the highest level. The pallets with goods are led in one transport section. With the capacity of nearly 100 pallets, the lines create a buffer for sequencing (before loading the pallets onto the trucks). The process of adaptation of these solutions in the warehouse took more than 10 months. It started with the preparation of a simulation and a plan. Then, the functional and architectural project, as well as the concept of fire protection (without sprinklers), were developed. 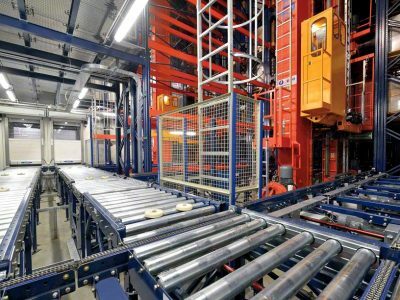 At the following stage, the warehouse was equipped with appropriate devices (such as the storage-retrieval machines with Orbiter shuttle vehicles), the control system for warehouse and material flow management and the system for pallet transport. 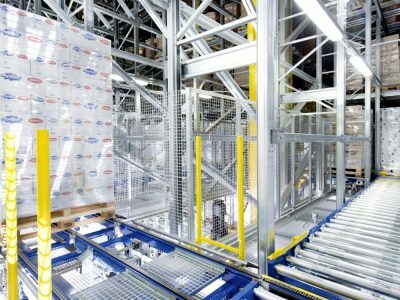 As a result of these changes, by combining the capacities of the warehouses, the company has achieved an easily controllable facility, at the same time eliminating the requirement to use special forklift trucks adapted to low temperatures. The manual work of employees in the warehouse has been practically eliminated. They are only responsible for programming, steering and supervising individual activities.